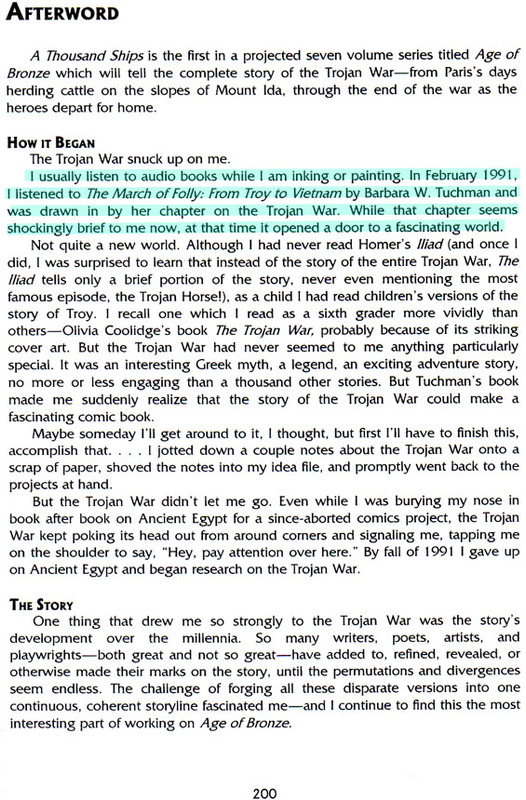 The other day I was at the library, looking for trade paperback comics, and I spotted A Thousand Ships, the complete first volume in Age Of Bronze series. 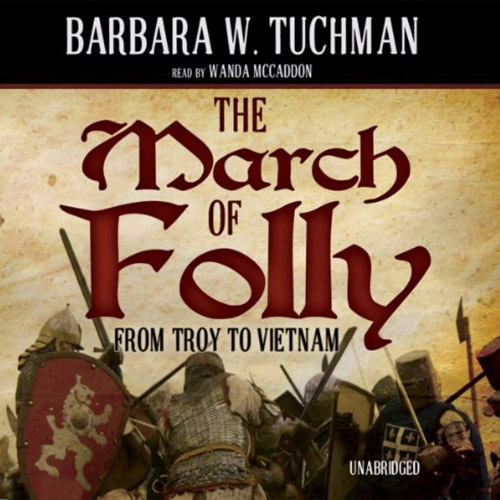 In The March Of Folly, two-time Pulitzer Prize winning historian Barbara Tuchman tackles the pervasive presence of folly in governments through the ages. Defining folly as the pursuit by governments of policies contrary to their own interests, despite the availability of feasible alternatives, Tuchman details four decisive turning points in history that illustrate the very heights of folly in government: the Trojan War, the breakup of the Holy See provoked by the Renaissance popes, the loss of the American colonies by Britain’s George III, and the United States’ persistent folly in Vietnam. The March of Folly brings the people, places, and events of history magnificently alive for today’s reader.